Welcome to 2015! January is usually equal parts wide-release Oscar nominees and bad horror releases, so let’s take a look at January’s releases. As before, this is a look and my predictions are based on my abilities as a film reviewer. I’m pretty good at reading into these things and so here they are in all their glory. I wasn’t all that keen on The Woman in Black. I was slightly disappointed by how normal it was. 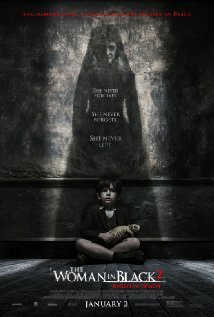 There was nothing to make it stand out as a horror film apart from a pretty good performance from Daniel Radcliffe. It just wasn’t all that original. The sequel looks to be the same fodder. I am curious as to exactly how this film will tie in with the original, so in that way, I’d like to see it, but this feel was clearly dumped in January. I really liked Taken starring Liam Neeson. 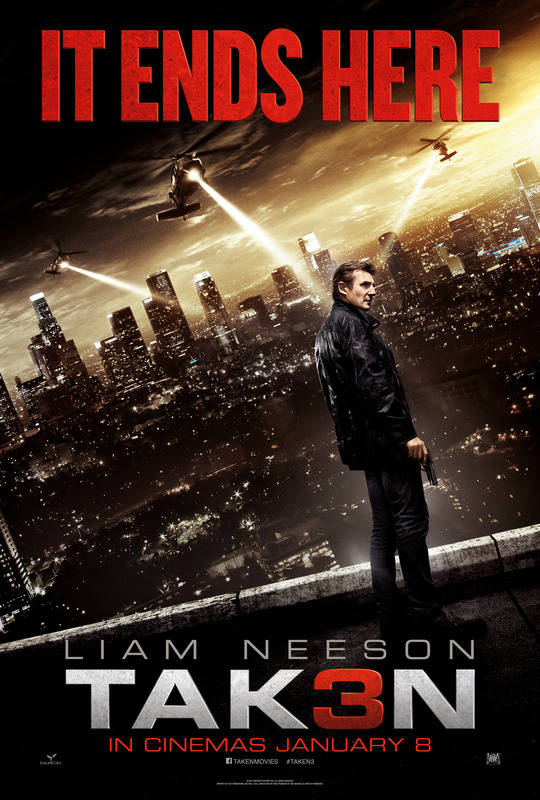 I found Taken 2 to be less worthy of the awesomeness of the first film, but at the same time, I thought it was pretty action packed while not being a complete carbon copy of the first. Taken 3 is going in a different direction again, so I can’t wait to see what kind of trouble Bryan Mills has in store for him as he is framed for a crime he didn’t commit. A Hemsworth in a cyber-crime thriller? 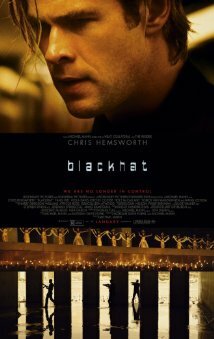 No, it isn’t Paranoia, its Blackhat from director Michael Mann. Mann is hit-or-miss for me. I liked Heat. I didn’t like Collateral. I liked TV’s Miami Vice. I didn’t like Miami Vice (the film). I saw the trailer last week and I gotta say, I’m not all that impressed here. On the bubble definitely. I know Kevin Hart isn’t the leading man of, how do I put it best, “good” movies. 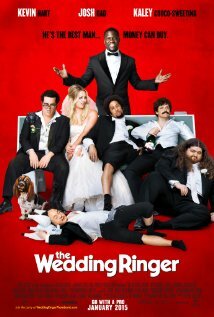 The Wedding Ringer actually sounds pretty funny. Hart plays the owner of a business that places best men in weddings for socially awkward grooms who don’t have the adequate friends to put together a wedding party of his own. I’m not saying good, I’m saying possibly good. 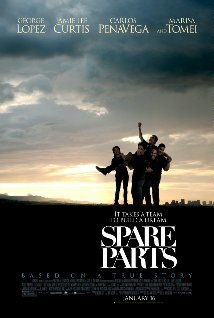 Spare Parts is the true story of four undocumented immigrants who enter into a national robotics challenge with $800 bucks and borrowed robotic parts and end up facing off against M.I.T. students. It stars George Lopez and Jamie Lee Curtis. The poster looks good, and the story seems pretty engaging, but it also has George Lopez. Yikes. Hey look, another guy is stalking Jennifer Lopez. After a sexual encounter with a younger man living next door, she discovers that he has taken an uncomfortable obsession to her. I’m just not interested anymore. 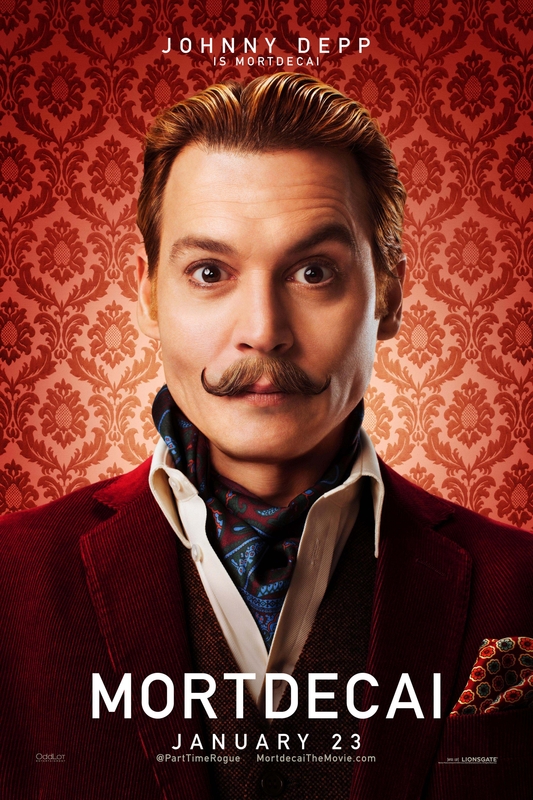 Mortdecai is based on a book and stars Johnny Depp as a charismatic (yeah, again) rogue art dealer hunting down a stolen painting that could lead to Nazi gold. This film is star studded and directed by David Koepp who worked with Depp on Secret Window back in 2004. I loved Secret Window and I still believe in Depp’s abilities. I can’t wait to see what they accomplish here. 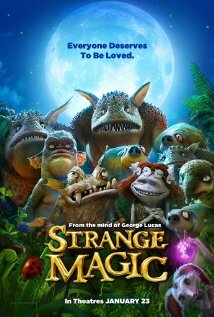 Now, the word stoked needs to get tossed around more for Strange Magic, an eclectic new animated fairy tale from Lucasfilm. Still not a ton is known about this film, except that George Lucas wanted to create another film with the love and affection that Labyrinth has. It also contains new versions of pop songs that were strung into the film’s story. I love it when films like this actually work, so I am excited. 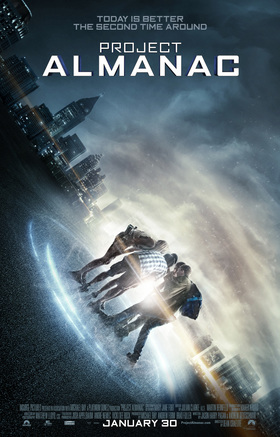 I actually discussed this movie last February before it was postponed. At that time, it was called Welcome to Yesterday. My thoughts haven’t changed much. 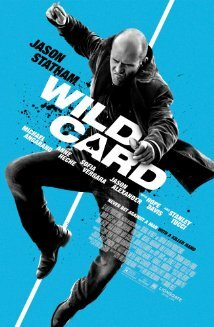 Wild Card is a remake of the 1986 film Heat starring Burt Reynolds. Jason Statham is Burt Reynolds here, a recovering gambler who becomes security-for-hire to fuel his addiction. January Statham is a bad idea. Skip. Look forward to my first list of best films this year coming soon and we will see you for another preview in February.